Apple hasn't even announced the iPhone 7 or iPhone 7 Plus, but it's already rumored to be planning big design changes for next year's smartphone. 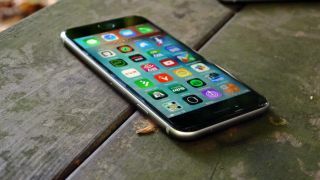 The Cupertino company intends to shift from LCD to OLED display technology with its iPhone 7S in 2017, and that's a year or two sooner than expected, according to Chinese news site Nikkei. Going "organic" with the new iPhone screen has obvious benefits. OLEDs are brighter and can be made to be thinner, lighter and more flexible than current iPhone IPS LCD displays. As we've seen from the Apple Watch, OLED displays can also achieve deeper blacks and save battery life by essentially turning off pixels. That would be a big plus for wall-hugging and Mophie-carrying iPhone users who are constantly looking for a charge. Apple's switch to OLED for a future iPhone seems inevitable. It's said to be close to a $12 billion (about £8.53b, AU$16.47b) deal with Samsung and LG for such displays, according to 9to5Mac. There's also a push to bring fresh ideas to new iPhones, and many of Apple's top rivals have already made the switch to or flirted with OLED, including Samsung and Motorola. The Samsung Galaxy S7 and Galaxy S7 Edge use AMOLED displays to their advantage, with an always-on displays that show the time, date and notifications without significant battery drain. The forthcoming LG G5 does the same thing, even though it uses LCD technology. Apple could be seeking to match these novel features being touted by its biggest Android-based competitors. Of course, none of this is expected to land in the company's next phone, the iPhone 7. But we could be in for a major screen refresh just twelve months later.